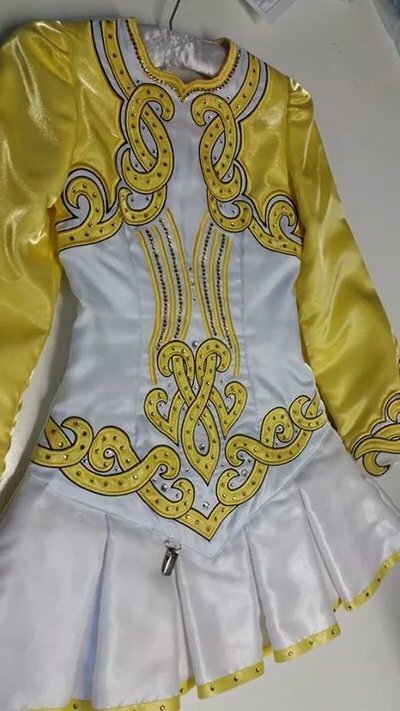 Beautiful modern light weight dress suitable for petite 11 /13 year old. 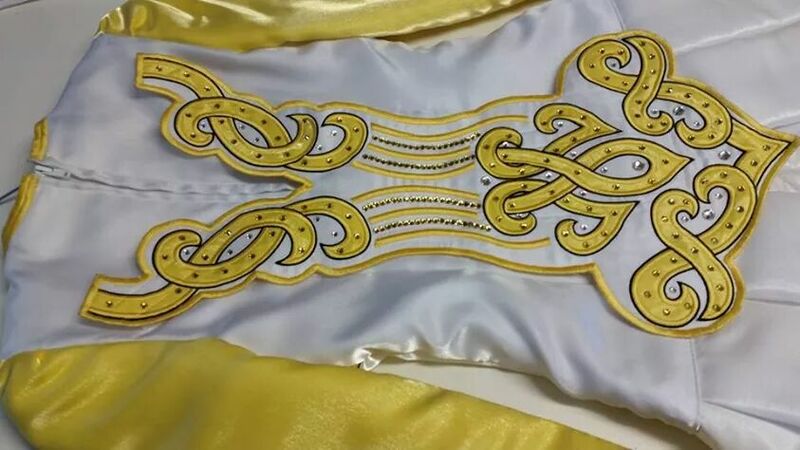 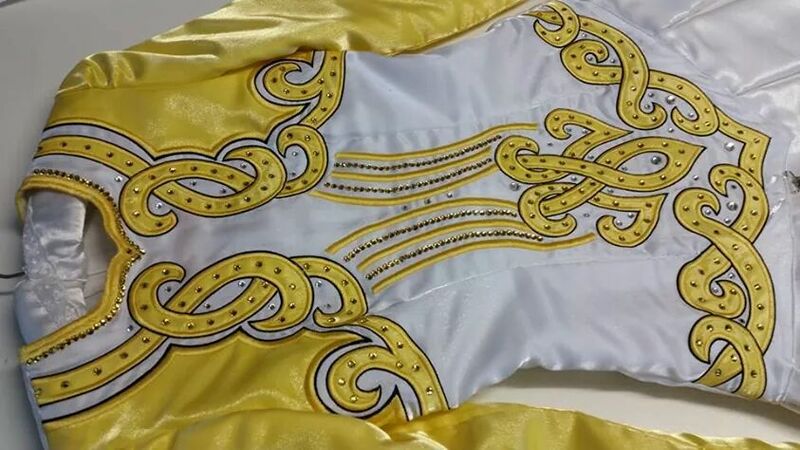 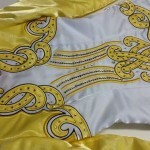 Yellow and white twinkle satin with Celtic embroidery.Very well cared for from a smoke free pet free home. 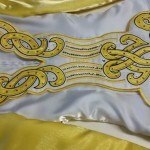 Dress in immaculate condition.